A few weeks ago a group of tenants contacted SeaSol because they were fed up with the unsanitary conditions and unresponsive management at Sterling Manor, an apartment complex in North Seattle. 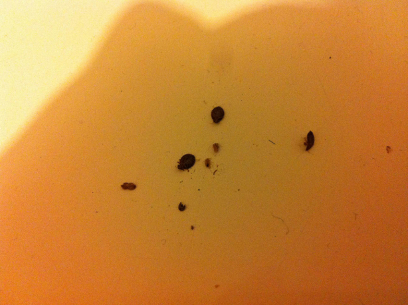 For months the tenants had reportedproblems including extensive mold, leaks, broken or missing appliances, and signs of bedbugs. Property managers ignored them, doing nothing to fix the most serious issues. The mold was the worst problem. 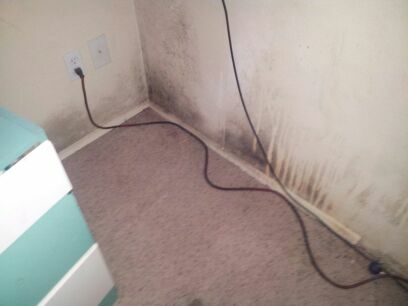 Several tenants and their children were chronically sick, and some of their belongings were ruined. One of the tenants remembered that SeaSol had previously supported a relative in a fight against an abusive landlord, and thought that we could help get much-needed repairs and cleaning done at Sterling Manor. The tenants started meeting with SeaSol, and went door to door in their apartment building to gather the support of their neighbors. Together, we wrote a demand letter addressed to Cornell & Associates, the company that manages Sterling Manor, giving them two weeks to hire a professional mold remediation company.More than half of the residents of the building signed on in support of the newly formed Sterling Manor Tenants’ Committee. The demand delivery went down on Thursday, August 22. Two dozen SeaSol supporters accompanied members of the Tenants Committee, occupying the offices of Cornell & Associates to hand-deliver the letter to property manager Susana Manio in front of her bosses. Cornell & Associates reacted immediately, notifying all the Sterling Manor tenants that they would be performing a “routine” inspection of their units. Long-time tenants in the building say this is the first time the managers had ever done this kind of inspection. Though property manager Susana acknowledged extensive mold and other issues in several units, she made no concrete plans to address the worst problems, much less to hire a professional mold remediation service. Then Cornell & Associates attacked. Two tenants who had signed the demand letter with the Sterling Manor Tenants’ Committee and SeaSol received 10-Day “Comply or Vacate” notices for long-standing issues that the managers had previously ignored. One tenant on a fixed income was hit with a $600 bill for unpaid water bills that management had previously said she didn’t have to pay due to protracted repairs to her apartment. (Tenants report a suspicious pattern of high water bills, leaks, flooding, and mold throughout the building.) Another tenant, from whom Susana has been accepting rent for months, was told to vacate because her name is not on the apartment lease, which was signed by a relative who has since had to leave the country. Needless to say, it is clear that Cornell & Associates’ intent is to use any pretext to evict as many organized tenants as possible while intimidating those who remain. This kind of retaliation is illegal under state law, and neither the Sterling Manor Tenants’ Association or SeaSol will stand for it. Our fight is just getting started, and we’ll keep it up until the retaliation stops and tenants at Sterling Manor get the respect and healthy living conditions they deserve.